Swagger has quickly established itself as an important tool for building Web API's for any platform. Swagger enables interactive documentation and client SDK generation/discoverability. One of the most frequently used Swagger tools is Swagger UI. Swagger UI provides automatically generated HTML assets that give you automatic documentation and even an online test tool. To see Swagger UI in action, check out their demo page. 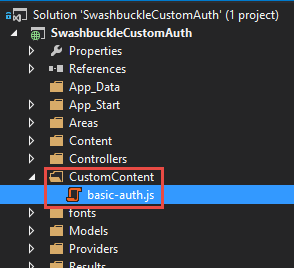 Although Swagger/Swagger UI can be used for any platform, the Swashbuckle library makes integrating Swagger UI into a .NET Web API app a breeze. 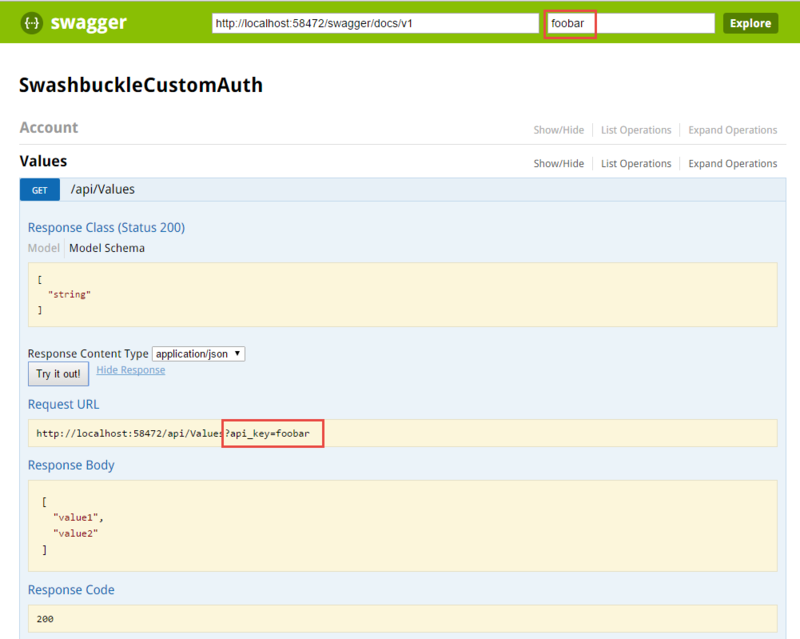 In fact, Azure API Apps specifically leverage Swagger via Swashbuckle to provide the metadata for Azure API apps. But what do you do if you need some other type of authentication? Perhaps you need Basic Auth or suppose the API key needs to be sent in an HTTP header rather than the query string. Most of the online resources I found, suggest that you should simply replace the default web page by copying the original and making the changes you need. While it's great to have this type of flexibility, the problem is that it makes it harder to keep up when new versions come out. You'd have to continually update your code (that you've now taken ownership of) each time a new version comes out. Here are the steps to make that happen. First, make sure the "Swashbuckle" and "Swashbuckle.Core" NuGet packages are added to your project. If you're working in an Azure API app, they'll already be added for you. In the screen shot above, I put in a username of "steve" and a password of "123". This time when I invoke the request, you can see an Authorization header for Basic auth being sent in the HTTP request headers. Problem solved. At first glance you might think/hope that will make the UI do the Basic Authentication for you – but it doesn't. That simply changes the metadata that comes out of the Swagger schema that informs the user what type of authentication is being used. 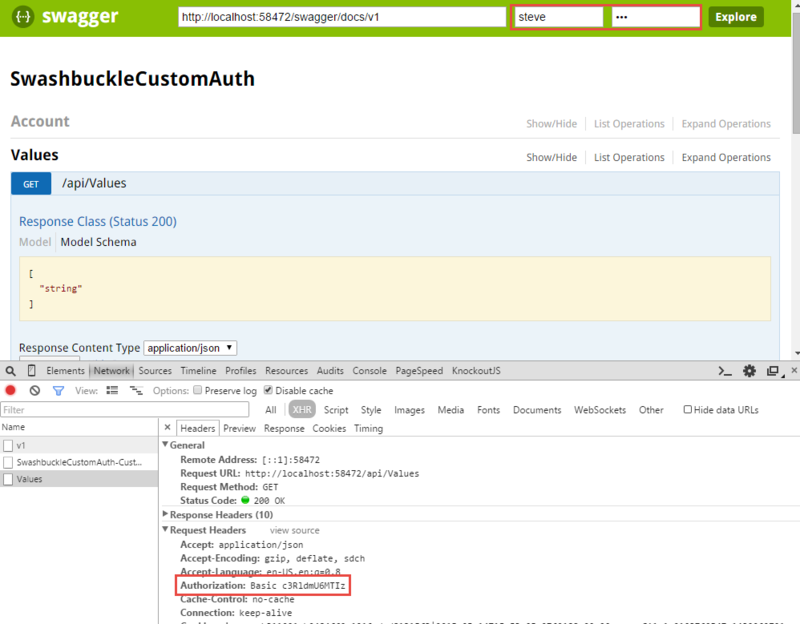 But if you actually want the Swagger UI to correctly execute the appropriate authentication scheme, follow the steps in this blog post if you're working in .NET projects. A sample solution containing these techniques (minus the actual authentication) can be downloaded here.